Hey everyone! 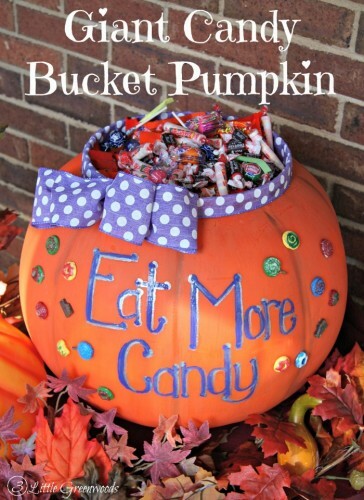 It’s Ashley from 3 Little Greenwoods sharing an easy door decor project with you that is guaranteed to make your trick-or-treaters smile! 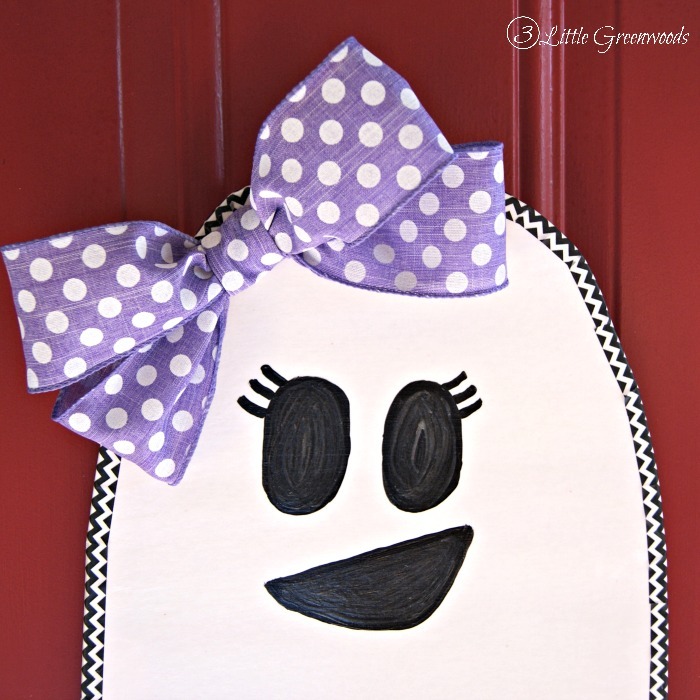 Say hello to our sweet Ghostie Girl Door Decor! 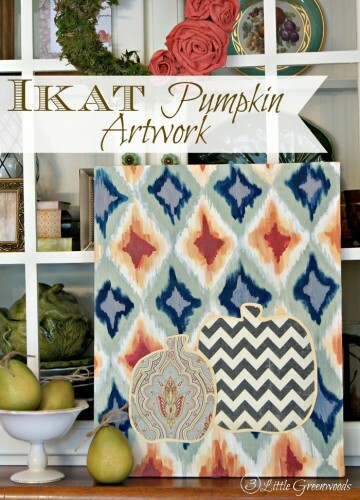 This project was unbelievably simple and inexpensive to make. Get started by drawing a ghost shape on the foam core. Our Ghostie Girl measures 12″ x 24″. Once I was happy with the shape, I used a serrated kitchen knife to carefully cut out the ghost. Next Ghostie Girl got a happy smile and eyes with lashes. While the face was drying I began to wrap the edges with black, chevron washi tape. Since the shape doesn’t have straight edges you will need to notch the tape so it will lay flat around the curves. 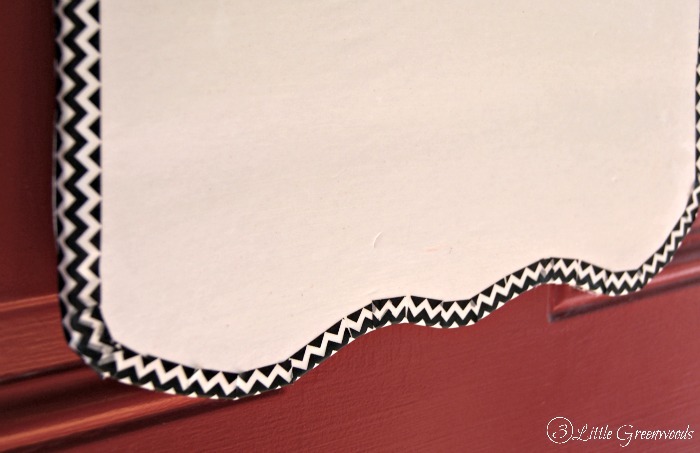 If the washi tape doesn’t want to stick use a dab of white glue to hold it down. Adding a fun bow definitely gives this Ghostie Girl a personality of her own. Tootsie, our four year old, has declared it to be her! 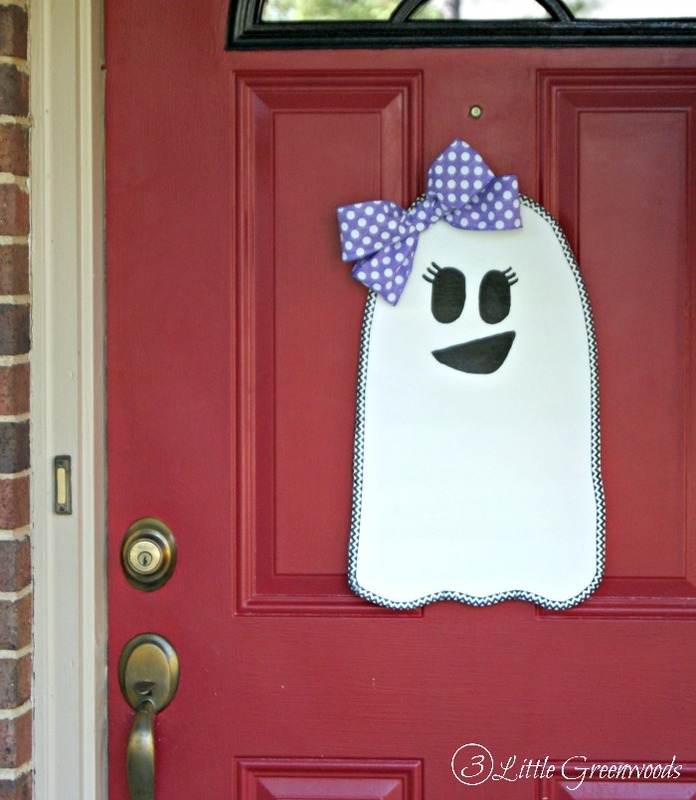 With a little help from blue painter’s tape Ghostie Girl is happily hanging out on the front door. Ashley is the writer and creator of 3 Little Greenwoods. She is wife to Honey and Mama to the 3 Little Greenwoods. After teaching kindergarten for 14 years, Ashley landed her dream job as a stay at home mom. Instead of focusing all her energy on a classroom of five-year-old’s, she began 3 Little Greenwoods to document all her crazy craftiness, DIY home projects, and fun with her children. Party planning is a bit of an obsession as she gathers inspiration to create tons of DIY decor and fabulously fun birthday cakes. Learning to cook traditional dishes in her School of Southern Cooking is her current passion. She would love to have you hop over for a visit!